Reception Night with Brandon Movall at Night Art Gallery on Friday, April 6th 9pm to 11pm. Meet the artist behind the “Chasing Shadows” exhibition. Take your time and view 30+ concurrent artist exhibits each displaying 8 to 12 pieces of art in one location. View over 300 original unique artworks with many styles such as; traditional, abstract, multimedia, pop and more. 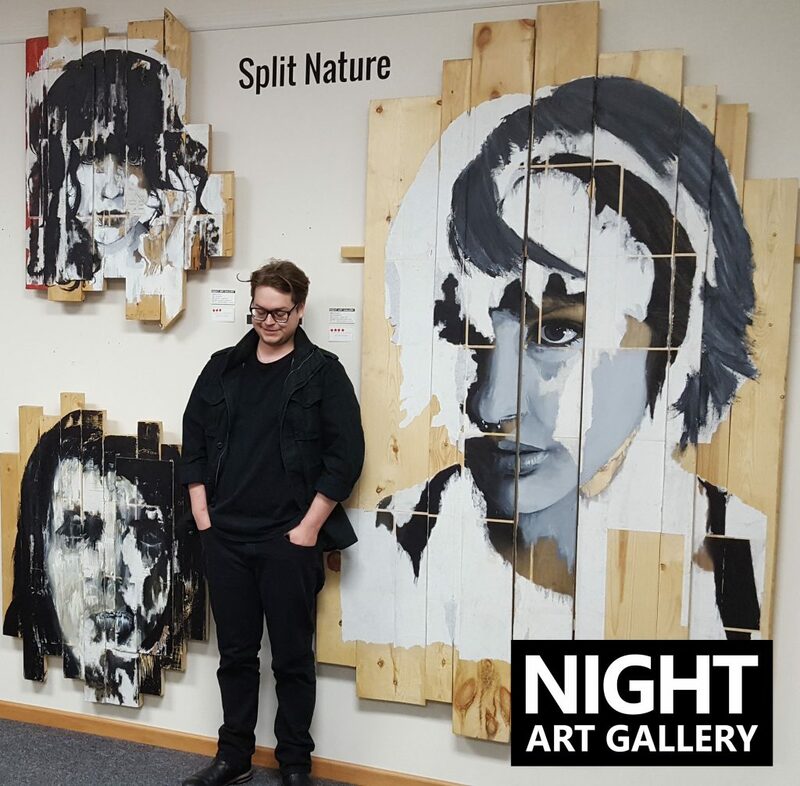 Night Art Gallery offers an entertainment alternative to bars and restaurants with lots of great diverse art, ever changing art exhibitions, upbeat background music, alcohol free beverages and late easy evening hours. Night Art Gallery is open Monday through Saturday from 5:00pm to 11:00pm. Meet up with friends, sit down and relax, enjoy alcohol free beverages and enjoy the art and background music and mingle with others who share a passion for the arts.